If you’re planning to take down a deer with your AR-15 in the next hunting season, you might want to buy an appropriate scope. Choosing an apt scope for hunting is a tedious task. A lot of factors such as position, range, weather, terrain come into play while you aim at a musky deer sitting 100 yards away. Today we’re going to take a look at how to choose the best AR-15 scope for hunting. We will also classify some of the best AR-15 scopes for deer hunting available in the market. So here we go. Deer hunting is probably the most common hunting session in open seasons, at least in America. The deer we are talking about here refers to smaller species like the whitetail and mule deer. Deer hunting is done at quite close ranges, usually within 200 meters. Many deer hunters say they haven’t bagged one beyond 100 yards. All those factors have to come into play when choosing a scope. Resolution, also termed sharpness, is the ability of a lens to differentiate between two close images and show them as separate entities. In layman terms, higher resolution means sharper images. That means you’ll get to see the target as perfectly as with your naked eye. 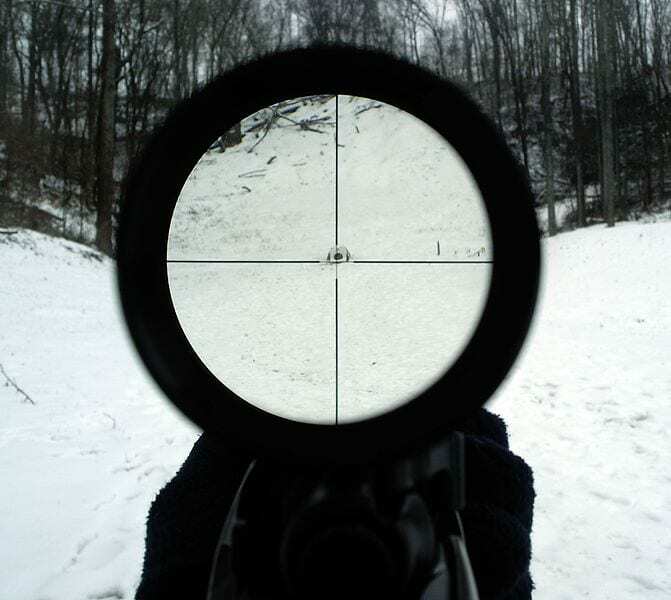 A clear image of the target lets you make a perfect target picture for a precise shot. The size of the objective lens determines the amount of light that enters the scope. Lenses with a large objective size allow more light to pass through, which in turn produces a brighter image. While you’re out with your AR-15 to hunt a game, lens size really comes into play at dawn and dusk, which are often the best times to find deer in the open. At these times between light and dark, you’ll want a scope that can pull in as much light as possible. Magnification is the amount of enlargement your scope can provide for an image. For example, a scope with 3.5-9x magnifications means you can view an object 3.5 to 9 times closer than you can with your naked eye. Magnification is often a topic for debate among deer hunters. We’ll discuss it later as to how magnification matters when you’re shooting a deer only 100 yards away. It’s not very less likely that you’re going to find a whitetail lingering around in your backyard - or at least you’re not going to shoot it there. You have to carry your equipment and rifle into the woods across uneven terrain and facing tough weather conditions. A good scope must also hold zero in all conditions. You should make sure that the scope of your AR-15 is quite sturdy as well as being waterproof and fog proof. A sturdy scope is quite effective and no doubt goes a long way. You don’t have to shed your heart out of your pocket to buy a good scope for deer hunting. Bigger is not always better. There are certain factors which will let you decide about how to choose a good scope. Some people might suggest that high magnification scopes are always good. But that’s not really the case with deer hunting. You’re probably never going to shoot a deer far more than 200 yards, and scopes with more than 12x magnification are useless in that respect. Moreover, you are probably not going to find deer on wide stretches of land. Deer hunting generally happens in wooded areas or other “broken up” terrain. You’re not often shooting across the wide savannah. A high magnification scope would show you nothing more than zoomed tree trunks. You should probably stick with 3-9x scopes for hunting deer, as they will help you acquire a target picture instantly, especially if you are stalking your target in the bush. Another important aspect to note here is the objective lens size. As we know that a larger size means a larger image. But there are a couple of contradictions in using it while deer hunting. Much deer hunting is done in daylight. While you might be out at dusk or dawn, you might not need a huge objective lens - “just enough” should do. On top of that, larger objective lenses may reflect sunlight and the flash might scare away your target. Plus a larger objective lens is heavier and will add to the weight of your gear. Apart from all these mentioned features, some other basic things to look for in a scope are eye relief, reticles and minutes of angles for correcting your shooting. Now that we know what to look for, let’s take a look at some of the finer scopes available. With a large 42mm objective lens and 3x-15x zoom, the SWFA tactical rifle scope tops our list. The wide 3x - 15x magnification power makes it adaptable to long as well as short-range sighting of targets. The 6m side parallax adjustment lets the shooter change and spot a moving target. This is an amazing scope for the money because of its wide range of features. The scope also features a first focal plane which enlarges the size of the ‘mil-quad’ reticle while you zoom in on your target. The scope has a beautiful black matte finish which complements the appearance of any rifle. It is 100% waterproof, shockproof and fog proof so you can use it under harsh weather conditions. Best value for the money but still has a high price. 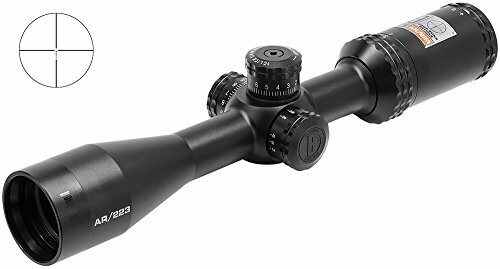 This amazing rifle scope from terra features a European design complemented by a non-magnifying plex reticle and a matte anodized waterproof and shockproof body. The plex reticle with bolded edges lets you zero in on animals of any size. The large 42mm objective lens gives a brighter image and the multi-coated lenses prevent any flash from reflected sunlight. The scope also has a long eye relief of up to 9mm for easy acquisition of targets. 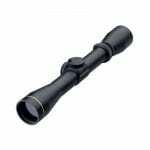 The 3x - 9x magnification is perfect for hunting deer from bushes to densely wooded forests. No resettable turret. Turrets can be re-set to 0. Leupold scopes are used by a wide range of people ranging from hunters to law enforcement services. The 6061 T6 aluminum body is lightweight and completely waterproof and fog proof. This Leupold scope features a multi-coated 4-lens system which provides a cleaner and brighter image of the target. It also has a duplex reticle for easy and precise aiming at the target. The 3x - 9x magnification is perfect for hunting at short ranges. The scope is backed up by a lifetime warranty by the manufacturer. 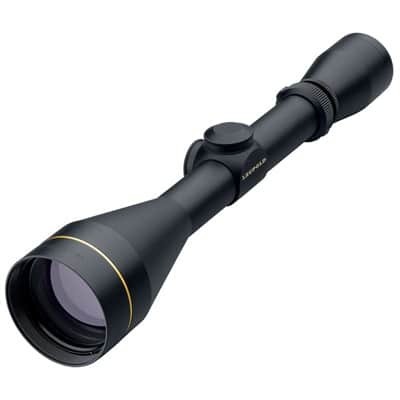 Bushnell is a revered manufactured of optics and has no doubt found a place in our list. The Drop Zone .223 AR15 rifle scope features a drop-zone reticle with a magnification of 3-9x. The objective lens diameter is 40mm which allows a good amount of light to pass through, providing a clear image. The scope has target turrets for precise adjustments. The drop-zone reticle allows you to take long-distance shots without making any adjustments. The fully multicoated optics provide maximum accuracy and reliability. The quick side focus parallax adjustment lets you aim precisely over a non-stable target. 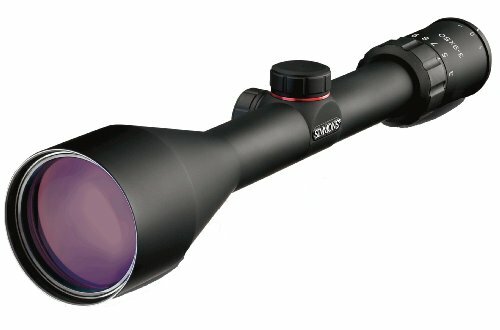 This Simmons 8 Point scope will be light on your pocket while serving all the features of a good deer-hunting scope for your AR15 rifle. The scope has a 3-9x magnification with a 50mm objective lens diameter which is more than you need for obtaining a crisp and clear target image. The precise eyepiece allows quick target acquisition even at magnified distances. The suregrip audible target turret adjustments let you hear the MOA clicks. The truplex reticle is apt for shooting whitetails and mule deer at short distances. 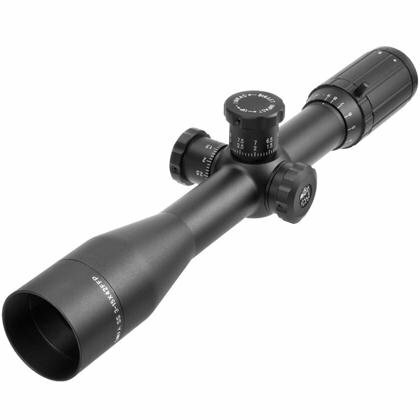 The 3-9x magnification is good for dense forests and bush stalking. A matte-black finish enhances the looks of the scope and the sturdy aluminum body keeps the components compact and safe. Doesn’t come with scope rings for mounting. Hunting deer is not a very long range activity (unless you are very fond of doing so). A deer hunting scope should have a modest magnification range, probably up to 12x. The objective lens doesn’t make a huge difference but make sure the lenses of the scope are multicoated. Mounting these scopes on your AR-15 is not a problem and it adds to your accuracy for sure. Always make sure you buy a weatherproof and durable scope for deer hunting so it doesn’t succumb to the harsh conditions.